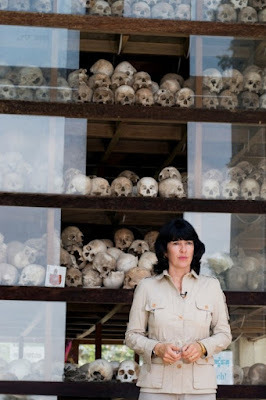 From ethnic slaughters in Armenia to the Holocaust to systematic terror and violence in Cambodia, Rwanda, Iraq and Darfur, CNN chief international correspondent Christiane Amanpour reports on the recurring nightmare of genocide and the largely unknown struggles of the heroes who witnessed evil – and “screamed bloody murder” for the international community to stop it. As the 60th anniversary of the United Nations’ Convention on the Prevention and Punishment of the Crime of Genocide approaches, a new two-hour documentary, CNN Presents: Scream Bloody Murder, will premiere on Thursday, Dec. 4, at 9 p.m. and replay at midnight. (ET). Amanpour, who just celebrated her 25th year at CNN, has reported on most crises and human events from around the globe, including events in Iraq, Afghanistan, Iran, Israel, North Korea, Pakistan, Somalia, Rwanda and the Balkans. She has interviewed world leaders at the key moments of history as they happened and leverages this direct experience and depth of knowledge in Scream Bloody Murder. Her first-hand insights provide context to the key decisions before and during the heinous events that continue to shock the world. Raphael Lemkin, a Polish Jew and lawyer, narrowly escaped the Holocaust, but his parents and 40 other members of his family perished in the slaughter. In the 1940s, Lemkin coined the term “genocide” and lobbied the then-fledgling U.N. for an international convention compelling nations to prevent and stop genocide. Just one generation later, Father François Ponchaud, a Catholic missionary working in Cambodia, tried to alert the world to the torture and mass executions following the rise of the brutal Khmer Rouge regime. Ponchaud published articles, a book, and even spoke before the U.N. to urge action to stop the killing. “No one believed us” Ponchaud tells Amanpour in the documentary. In fewer than four years, the Khmer Rouge’s reign of terror claimed the lives of nearly two million men, women and children – one fourth of Cambodia’s population. In the 1980s, Saddam Hussein unleashed poison gas on the Iraqi Kurdish population, killing tens of thousands, in violation of international law. Amanpour draws on U.S. government documents that show the Reagan Administration opposed measures to sanction Iraq because it was trying to cultivate Iraq as an ally against Iran in 1988. Peter Galbraith, at the time an idealistic staffer in the U.S. Senate, witnessed Hussein’s brutal policy and tried unsuccessfully to get Congress to punish Iraq. The White House continued its support for Hussein. Amanpour questions the Reagan administration officials who made the decisions at the time, including former U.S. Secretary of State George Shultz. 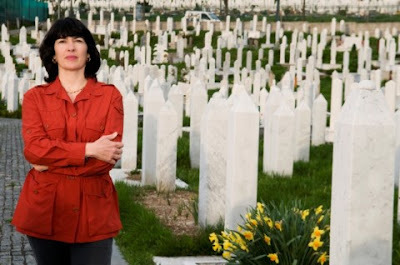 Amanpour returns to the former Yugoslavia, where in the 1990s, she reported on the “ethnic cleansing” of Muslims by Serbs. She reminds viewers that the slaughter in Bosnia happened in full view of the world, captured on 24-hour television news. 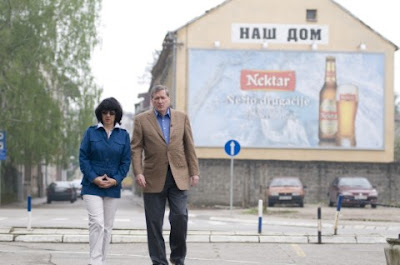 Amanpour describes the efforts of Richard Holbrooke, at the time a private citizen who would later become one of President Bill Clinton’s most influential advisors, who tried to persuade the Clinton administration to use military force to stop the principal aggressors, the Bosnian Serbs. It would take three years – and the massacre of 8,000 Muslim men and boys in the town of Srebrenica – to make his case and secure U.S. military support to end the “ethnic cleansing.” Amanpour also interviews Holocaust survivor and Nobel peace laureate Elie Wiesel, who during the opening ceremonies for the U.S. Holocaust Museum in 1993, publicly demanded the newly elected Clinton to intervene in Bosnia. Amanpour recounts the Clinton administration’s refusal to use the word ‘genocide’ to describe the killing in Rwanda, and the U.N.’s refusal to reinforce Dallaire’s troops. Former U.N. Secretary-General Kofi Annan and former U.S. National Security Advisor Anthony Lake discuss the failures in Rwanda. Amanpour also interviews current Rwandan President Paul Kagame, who says the world was indifferent to the fate of Rwandans. Finally, Amanpour reports on what many consider to be the first genocide of the 21st century: Darfur. “There was no lack of information, there was no lack of understanding, there was a lack of will to stop genocide – year after year after year,” says Eric Reeves, a Smith College professor and one of the founders of the grassroots activism to end genocide in Darfur. Amanpour interviews Dr. Mukesh Kapila, the U.N.’s former top official in Sudan, who reveals what he says is today’s challenge: The U.N. is powerless to compel its members to act, even in the face of mass murder. There may be a ray of hope in Reeves and Kapila’s frustrated efforts. Human rights groups continue to call attention to the atrocities in Darfur, and activists around the world advocate for Darfur via the Internet, which may holds some promise for maintaining international pressure and keeping the world’s conscience focused on relief action. Six decades after Lemkin’s challenge to never let genocide happen again, Amanpour ponders what it will take for the world to live up to his challenge and the promise of the Genocide Convention he worked so tirelessly to bring about. The next time the killing starts and someone stands up to scream bloody murder, will anyone listen? Christiane Amanpour has reported on crises from many of the world’s hotspots and war zones during 25 years at CNN. Her assignments also include exclusive interviews with world leaders on the human consequences of natural disasters and global politics. She has received numerous awards for her work, including the coveted Paul White Award from the Radio-Television News Directors Association, four George Foster Peabody Awards, a Courage in Journalism Award and a number of Emmys and duPont awards. She is a member of the board of directors for the Committee to Protect Journalists and was named an honorary citizen by the City of Sarajevo for her “personal contribution to spreading the truth” during coverage of the bloody breakup of the former Yugoslavia between 1992 and 1995. The managing editor for Scream Bloody Murder is Kathy Slobogin. Andy Segal is senior producer; Ken Shiffman and Jennifer Hyde are producers for this documentary. The Newsroom, The Situation Room and AC360. World news matters in today's world. , Lipitor (Atorvastatin) is an oral drug that lowers the level of cholesterol in the blood. is a derivative of opium, which is also used to manufacture heroin. Individuals with a Vicodin addiction become deeply depressed, and their thinking, attention, and judgement become impaired. Their thoughts dwell on the next high, although they tell themselves they are still taking Vicodin for pain or to avoid the withdrawal symptoms. Individuals with a Vicodin addiction often truly feel physical pain, but it is psychologically produced.